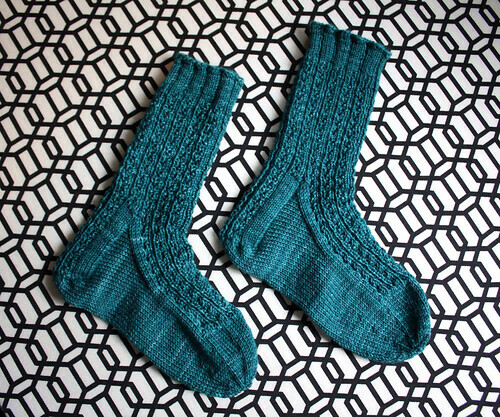 I recently finished up my third pair of socks, a gift for an especially helpful friend. 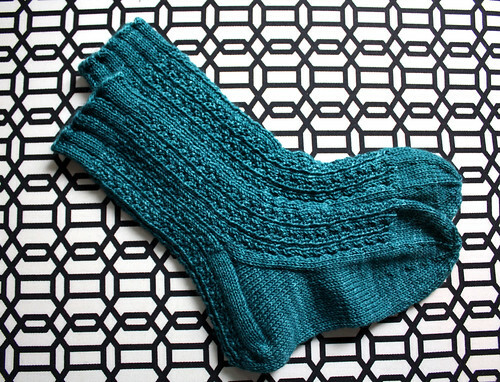 I followed the Hedgerow Sock pattern by Jane Cochran, and when all was said and done, I was truly happy with the end result. I'm definitely a novice knitter (being that I only started this past February) but it hasn't taken me long to get a feel for what I like and don't like in a pattern. While Jane has clear instructions and the pattern is easy to follow, I think I'm just not a fan of switching so often between knits and pearls. I really really really love these socks, so don't get me wrong, but I just wasn't in love with the process. They're so gorgeous Kelsey. I'm so impressed that you're a novice and you're making projects like this!